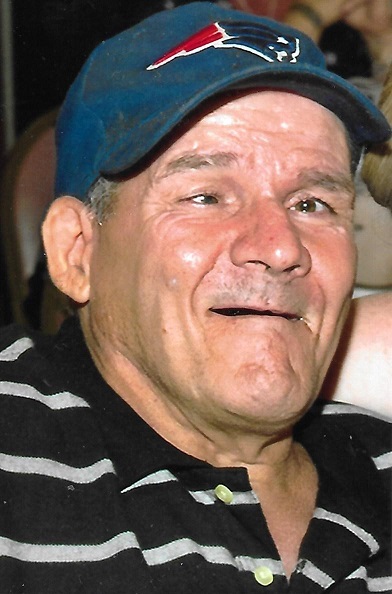 Obituary for John A. Marshall | Brown Funeral Homes, Inc.
John A. Marshall, 58, of Harrisville, RI passed away on August 17, 2018 at his residence, surrounded by his loving family. He was born in Burrillville, son of Lorraine (Gaulin) Marshall and the late Wayne Marshall. John was an avid Red Sox fan and enjoyed watching all New England sports teams. In his pastime he loved to ride his Side by Side car. He touched many lives through his love. He inspired people with his optimism and bright smile. He was an inspiration. Besides his mother he is survived his brothers Wayne and Michael Marshall, sisters Judith Couture and Margaret Howard, best friend Jody Vezina all of Burrillville, nieces and nephews Joshua Marshall, James Howard, Magan, Christopher, Kayla and Kaley Marshall. He is also survived by his aunts and uncles His funeral will be held Wednesday at 9am from the Brown Funeral Home, 1496 Victory Hwy., Oakland with a Mass of Christian Burial at 10am in St. Patrick's Church in Harrisville. Burial will follow in Precious Blood Cemetery, Woonsocket. Calling hours will be Tuesday evening from 5-8 PM. In lieu of flowers, donations in his memory may be made to the Shriners Hospitals for Children c/o Donor Relations 2900 N. Rocky Point Drive Tampa, FL 33607.